"...quizás el mejor libro sobre el matrimonio que he leído!" 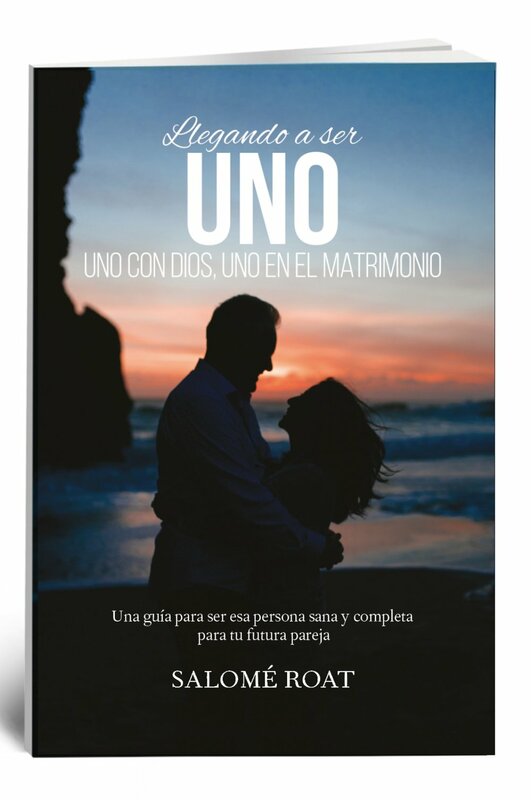 Muchas personas pierden la esperanza en el futuro y se conforman con menos de lo que realmente es la voluntad de Dios, pero si aprendes a confiar en Él aún en esta área del matrimonio, Él te dará el fundamento necesario para prepararte como un hombre o una mujer poderosa, segura de conocer Su voluntad. Descubrirás tu verdadera identidad y recibirás sanidad en heridas del pasado. Experimentarás relaciones saludables y significativas mientras sales en citas, a través de la enseñanza basada en la Biblia y a través de historias que tratan de lo que otras parejas han experimentado en sus propias relaciones. Entenderás cómo se ve un matrimonio saludable a través del discipulado y el testimonio. Harás la transición a la vida matrimonial mediante tu participación en talleres, el coaching, interactuando en la comunidad cristiana, y diversos planes de estudios y libros de matrimonio. Comprenderás tu rol en tu propio matrimonio y cómo un matrimonio vibrante puede liderar la transformación del mundo. Ciertamente, el matrimonio no es la relación más fácil, pero es gratificante, llena de aventura, íntima y definitivamente vale la pena. Amar a tu cónyuge de la forma en que se supone debes amarlo es un gran llamado y el mejor regalo que puedes dar. La mejor manera de iniciar este proceso es teniendo un corazón abierto y dispuesto a aprender. Te invitamos a hacerlo a Su manera. Nunca lo lamentarás. I want to congratulate Salomé on what is perhaps the best book on marriage I’ve ever read! I highly recommend it to you, the reader, for the following reasons: Salomé’s book is one of great substance, with outstanding biblical principles to apply. Secondly, she brilliantly and creatively augments what she writes with stories that are fascinating, real, personal, and relevant. As a pastor, I want to see marriages that are healthy; Salomé’s desire is the same for you, and you’ll see that come through greatly in this book. Finally, I’ve known Salomé and her husband, Leon, and their three wonderful children for many years. This family bears much fruit! Read this book, apply it, and share it with others—it is destined to be a great book and will bless many! — Pastor Brad Matthew Abley, M.Div. Overall this book left me with hope and also inspiration. I loved the last two chapters because this is the first time that someone clearly mentioned the dreams God has for marriage are way bigger than just to be married and have kids. I loved to see all the examples of how God used and is using marriage to change the world. I almost feel this book is like a reference guide, and it is absolutely something for a number of newlyweds I know. I will definitely read it again and again. Over the years I’ve read scores of good books on this subject. This one by my friend Salomé ranks right up there with the best. I encourage you to read it and get a copy or two for couples who are struggling. This book is not only a tremendous resource for married couples but also a wonderful tool for singles who are planning on one day finding their soul mate for life. When Sue and I celebrated our fiftieth anniversary, we were overwhelmed to the point of tears at the reality of this particular milestone. Overwhelmed at the goodness of God in matching us up. Overwhelmed by His faithfulness to us. Overwhelmed that we were passing a milestone that most couples never see. Overwhelmed at ourselves, as if we had run a 1000-mile marathon and made it! We have always tried to give our children and grandchildren the best that we could. It suddenly dawned on us that this particular anniversary was one of the greatest gifts of all: the heritage of vibrant marriage that has only gotten stronger through the challenges of life because we chose no other option than to face them together. Peter called Christ-followers “a chosen generation” (1 Peter 2:9). A more accurate translation, which appears in the Spanish Bible, is that we are “a chosen lineage.” Fifty years of marriage gives one a perspective on “lineage.” Our marriage is not just about us; it’s about all the generations of Thompsons that are coming after us and the reality that the “ceiling” we will be putting on our life together in the next fifty years (we signed up for fifty more!) will become the “floorboards” for the households of our generations to come. That’s why we salute our good friend, Salomé Roat, for this foundational, transformational book. It comes from her heart to you, and if you receive it as such, it will prepare you for a romance today that will engender a love pattern for the generations that will follow you. Salomé Roat has done a wonderful job researching and carefully articulating what it takes to “become the one” for that special person God has destined to be your life partner. She inspires the reader not to just look for the right person, but to become the right person. And she does that with a thoroughly biblical foundation that comes alive in a beautiful way as she demonstrates each principle with her own story and the stories of others. I encourage all single people, parents of single people, and even married people to read this book to gain a wealth of insights into what it takes to make a great marriage that impacts the world. I was lucky enough to read this book at a point in my life where lots of things didn’t make sense. It helped me understand that marriage is not a solution or a way to fix a relationship that is hurting. On the contrary, it is a goal that we accomplish once we have healed ourselves and become someone that has something to offer to the person we love. Chapter by chapter I realized that marriage is not the end of a phase in our lives but the beginning of what is probably the most important and challenging adventure we will ever have to face. The good news is that if we do things the right way, we won’t be alone. We will have God on our side and the reassurance that the person we picked to be our companion is indeed the one. We love this book. Becoming the One is a much-needed resource for those desiring a rich and fulfilling marriage. Salomé captivates her audience with testimonies from real-life experiences. Her experience with singles and married couples is evident as she releases truths and wisdom needed in this generation for a successful marriage. Her book is biblical, practical, and an easy read. Her questions and blessing prayer at the end of each chapter make this a great resource for individual and group study. We highly recommend your using this book as a discussion guide with singles and married couples, to awaken the soul and spirit to our Creator’s involvement and purpose of the highest covenant possible. Her chapters on spirit and soul connection are a must-read for all who want a successful marriage. This book can become a catalyst to launch our nation into stability and adventure with God through covenantal marriages. She reveals keys of wisdom and breakthrough for your personal life and marriage. Most believers desire a godly, life-giving marriage but just don’t know how to navigate all the questions, obstacles, and emotions that arise on the journey. Salomé has successfully created a spiritual road map that has already helped guide many young ladies into healthy marriages tooled with wisdom and resources for maintaining godly intimacy once the wonder of the wedding and honeymoon is over. Her own marriage is a genuine example of this, and anyone questioning whether it is possible to have a marriage of your dreams will be greatly encouraged as well as equipped by this book. I certainly have been! When my friend Karina first invited me to Becoming the One, I thought it was just an ordinary women’s group, but I was pleasantly mistaken. There’s a special anointing on this group of women. Becoming the One is more than just preparing for an earthly husband, but it is growing in who we are as women created by a Divine God. We are “becoming the one” whom He can call to lead others to Christ. We are “becoming the one” who will stand in the gap and fight for His holy name. We are “becoming the one” who will operate in the fullness of God’s Spirit here on earth. My time spent with this group of women has strengthened my faith in God, has created an environment to nurture my prophetic gifting, and it has helped build my self-confidence. Without Becoming the One, I don’t think I would have had the courage to leave my parents’ home and move to Miami to pursue one of my dreams to become a professional body builder. To me, Becoming the One will be a lifelong pursuit, but I am thankful that my first steps were taken with these women, and I look forward to the unfolding of who I become. I want to congratulate Salomé on what is perhaps the best book on marriage I’ve ever read! I highly recommend it to you, the reader, for the following reasons: Salomé’s book is one of great substance, with outstanding biblical principles to apply. Secondly, she brilliantly and creatively augments what she writes with stories that are fascinating, real, personal, and relevant. As a pastor, I want to see marriages that are healthy; Salomé’s desire is the same for you, and you’ll see that come through greatly in this book. Finally, I’ve known Salomé and her husband, Leon, and their three wonderful children for many years now. This family bears much fruit! Read this book, apply it, and share it with others—it is destined to be a great book and will bless many! Hace sólo pocos días, me senté junto a una de las mujeres de mi grupo Llegando a ser Uno, para conversar sobre su nueva relación. Karina empezó a frecuentar al grupo el año pasado. A sus treinta años, ya llevaba mucho tiempo en el que había perdido la esperanza de casarse, pero Dios tenía otros planes. Durante los dos últimos años, pasó por un tiempo de preparación, durante el cual realmente encontró el amor de Dios y empezó a trabajar en su crecimiento personal y en cómo llevar a su relación con Jesús a un nivel más profundo. Mientras participaba en el grupo, su historia empezó a cambiar. Su vida ya se encontraba en un proceso de transformación en el que aprendió a orar fervientemente, esperar y confiar. En el grupo, encontró a personas con quienes podía hablar y que orarían por ella debido al lugar resquebrajado en el que se encontraba. Ella también invitó a otras mujeres para que se unan al grupo y esto nos reveló que una pasión y avivamiento estaban naciendo en ella. Poco a poco empezó a tener esperanza en que Dios tendría un hombre maravilloso para ella en tanto llegara a ser uno para él, encontrando sanidad espiritual y su plenitud.